While snus used to be packaged in paper bags for hundreds of years, Swedish snus manufacturers innovated and started using metal cans sometime in the 19th century. Today, more than a century later, most snus portions are sold in plastic cans, which reduces production cost. Fiedler & Lundgren’s brand Mocca returns to the tradition of metal cans and offers snus connoisseurs a beautifully designed can with mini pouches containing flavored tobacco. While many brands reminisce of the old times with symbolism and appeal to a traditional crowd, Mocca doesn’t. The manufacturers decided to ditch coats of arms and symbolic, historic colors in favor of a modern font, a smooth, round can and muted colors. The brand appeals to young, modern snus lovers. The small portions allow for a smaller amount of nicotine per pouch, making the experience more enjoyable for casual use. The pouches are also easily concealed in the mouth and fit more comfortably for those not used to having a big pouch in their mouth. 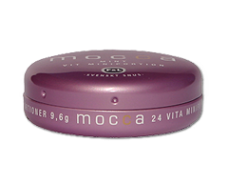 That way, Mocca is perfect for anyone who enjoys snus throughout the day, but doesn’t want to be bothered by the size of the pouches. 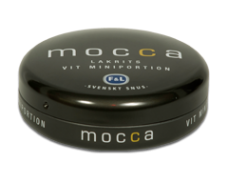 To continue in the theme of ditching conventional snus standards, one won’t find strong flavors of dark tobacco in the Mocca product line. Both available flavors are young, modern and exciting – like those who use the snus. First, there is the Mocca Mint Mini Portion. The flavor that develops in the mouth clearly focuses on mild and sweet notes. A naturally sweet tobacco combines with mild peppermint and subtle hints of vanilla for a refreshing experience without any overwhelm. Second, Mocca Lakrits Mini Portion adds anis into the mix. Upon opening, there are aromas of black licorice and hints of anise seeds, which produce a subtle fennel aroma. Flavor-wise, the licorice is dominant again. The flavor is enhanced by subtle hints of herbal and floral flavors, which adds complexity to the flavor. 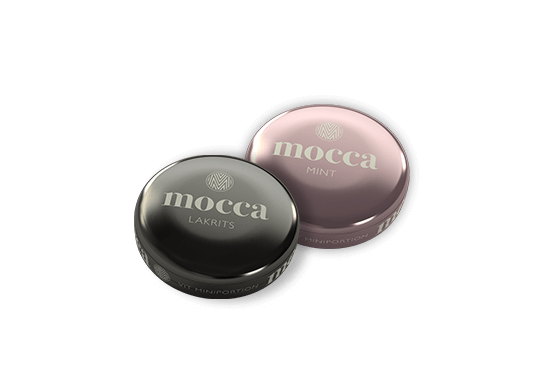 Over all, Mocca Snus appeals to all those who enjoy sweet flavors and a smooth experience without much hassle. The sleek can and its beautiful design enhance the experience to create an easy, casual snus.